We are so blessed! Nineteen areas successfully raised funds since March and walked in the last 3 weekends of August. These 19 areas represent close to 7,000 advocates raising awareness for the plight for the poor. I’d like to personally thank all of you who walked, braved the event, rain or shine, to rally behind our cause. This ANCOP Walk with a theme “Touch a Heart- Change a Life” has touched the lives of millions of people in the last 15 years of its existence and continues to do so as we see the blessing of transformation being passed on from our scholars to their families. We hope to do ANCOP Walk for the next 15 years or so! To all you the ANCOP Canada advocates, donors, sponsors and those who raised not just funds but also the faith – THANK YOU! Please pray for me as we start another chapter in ANCOP Canada. Last weekend, I was in Whistler for their ANCOP Walk and Church campaign and someone donated $5,000 after hearing about our work. This week, I will be in Nepal, to finalize the plans for it to be our 9th country where we have the child sponsorship program. There will be so much in store for all of us as continue our mission of building the church of the home and building the church of the poor. As we have been mandated to be the salt and the source of light to this world, let our actions be the reflection of what God intends us to do – to always pray, to always be part of a community of believers and to answer the cry of the poor. May God be praised in His awesome and wondrous work for the poor! 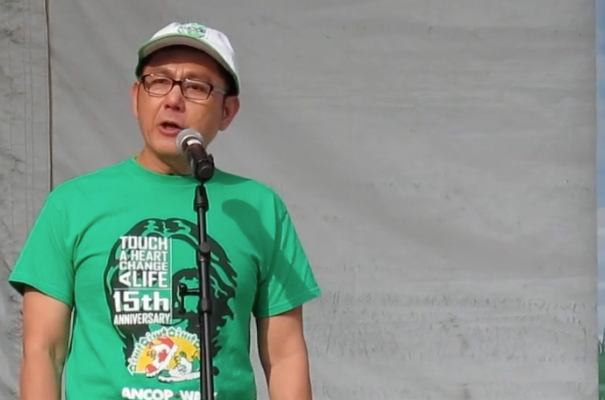 Click the video to Watch and listen to my message to not just the ANCOP Walk participants in Toronto but also to the rest of the ANCOP Walk supporters! Donations are still accepted at walk.ancopcanada.org until September 30.